Introduction to the Team: The Ad Tech and Customer Intelligence Product team builds our best-in-class marketing technology stack. 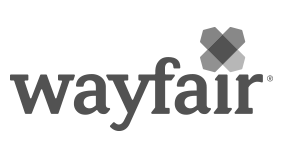 From a recommendations engine, to bidding platforms and integrations with key advertising partners, to our proprietary marketing automation technology including our in-house data management platform – we are building an intelligent, efficient, and automated toolset to ensure our campaigns (driving hundreds of millions of dollars in ad spend) unlock massive growth for Wayfair. The Role: We’re looking for a senior product manager to expand and adapt our current ad tech systems to meet the unique needs of our European business. In this role, you will work closely with our marketing and engineering leads to define the roadmap for these systems and work closely with a dedicated team of engineers to deliver your products. You will own many products including bidding/feed solutions for search, notifications technology for customer outreach, and recommendations strategies to personalize our marketing campaigns, all of which are core to further accelerating the growth of our UK and Germany sites. • Be the subject matter expert and owner of your products.